To paraphrase Fidel Castro, what the imperialists fear most is the mass duplication of Mumia’s exceptionally heroic example. 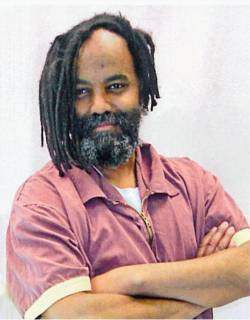 The prolonged fight to secure the most effective hepatitis C antiviral medication for Mumia Abu-Jamal and the decades-long struggle to ultimately free him continues with unabated determination. The fact that Mumia “is who he is,” helps to explain why this effort is so arduous and so important. Thousands of other prisoners, themselves captured and held under suspicious conditions, are also impacted by Mumia’s case. As colossal and well-armed as U.S. imperialism is, both internally and externally, it trembles at the very idea that the sheer weight of Mumia’s arguments, which its apologists can’t credibly refute, can have a most destabilizing influence on its self-arrogated right to dominate and rule the world. This what the rulers really fear: any challenge to their authority. And they especially don’t want that challenge to be ideologically organized. Hence the continued cowardly effort to kill him; now, through medical neglect and abuse. Of course to Mumia’s defenders, the rulers’ posture is fully unacceptable. When Mumia called, freedom fighters the world over answered. Fresh dispatches from the legal battlefield by Bret Grote and Bob Boyle, lawyers for Mumia in this case, show that their measured arguments have been carefully looked over by presiding Judge Robert Mariani, who made suggestions that help Mumia’s lawyers to further sharpen their focus of complaint and remedy. Filed Aug. 5, in the form of judgment opposition papers against former and current Pennsylvania Department of Corrections heads at Mahanoy State Correctional Institution, including Superintendent John Kerestes, these documents seek to particularly identify those responsible for “activating a climate of medical abuse and neglect.” Since 2014 and continuing through 2015, this climate has placed Mumia’s life in continued grave danger. Sought after hepatitis C antiviral medicine remains out of Mumia’s immediate reach. Earlier, the authorities had used the high cost for treatment as another mean-spirited excuse. Yet informed experts contradict them. Lawyers Grote and Boyle have indicated that they have met the 14-day resubmission deadline to refile an amended complaint for Judge Mariani, who is seen as slow but methodical. Castille was the DA during direct appeal in Mumia’s case and refused to recuse himself in Mumia’s PCRA appeal to the Pennsylvania Supreme Court, according to Mumia’s lawyers. Also included in arguments submitted to Judge Mariani on Mumia’s behalf was a declaration by Dr. Joseph Harris that includes his assessment of Mumia’s guarded medical condition and prognosis to return Mumia to better and safer health. The denial of the existence of political prisoners in the United States, by government at the three major levels, is not because of some stubborn refusal to recognize. It is designed to further criminalize dissent by denying capitalist society’s responsibility for the conditions that gave rise to dissent in the first place. We must never be fooled. Brick by brick, wall by wall, we’re gonna free Mumia Abu Jamal and all political prisoners! Henry Hagins is an active member of the Free Mumia Abu-Jamal Coalition.